Here to Help Learning’s Scope and Sequence offers six years of writing instruction. 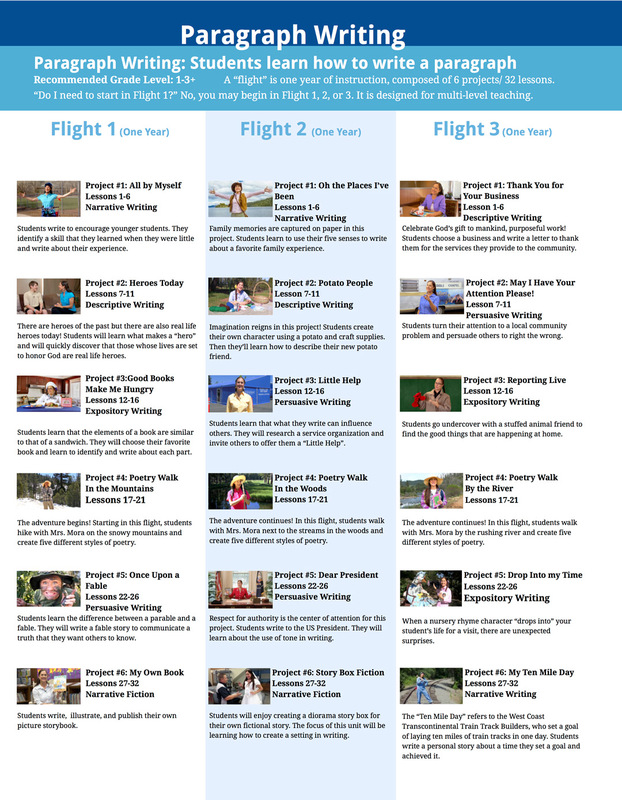 Students complete six writing projects in each “Flight” or one year of instruction. Each writing project highlights a writing skill. Each “Flight’ is all inclusive. Lessons build on foundations laid in lesson 1 and continue building with advancing concepts through lesson 32. Paragraph Writing is generally for grades 1-3 or higher. Essay Writing is recommended for grades 4-6 or higher. Once you determine your child’s skill level, you may choose any flight within the skill level. 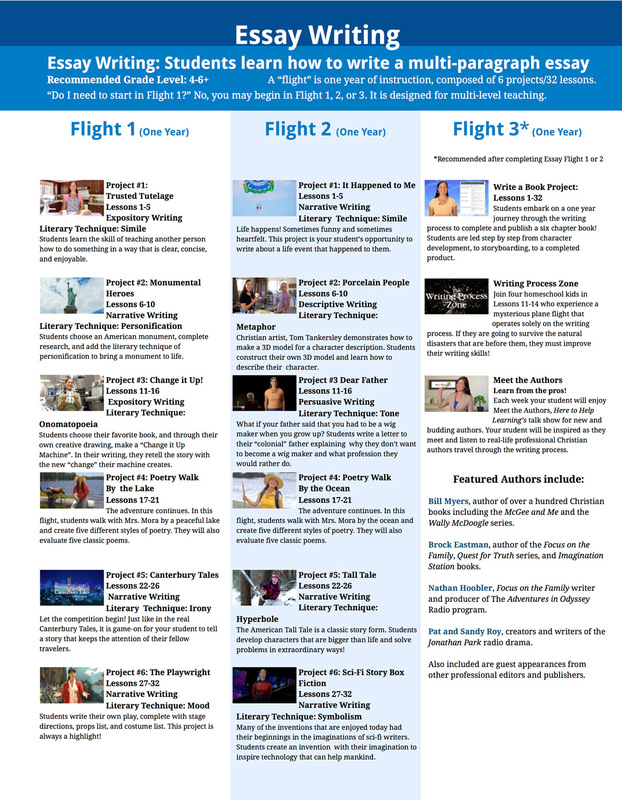 However, Essay Flight 3 (Write-a-Book Project) is recommended only after completing at least one year of Essay Flight 1 or 2.